One issue that I see frequently coming across chaplain discussion boards is that many have increasing numbers of those declining chaplain support. One poster, a hospice chaplain in Georgia, said her declines went from 10% five years ago to about 35% now. Many believe that the refusal of spiritual support is due to a decline in religiosity overall in our country and culture. That may be true, but I don’t think it accounts for the majority of declines. Even though the Pew Research Center found a nearly 8 point percentage drop in those professing Christianity between 2007 and 2014, about 70% of Americans still identify as a member of some Christian church or faith group. From my own experience I can say as that I have had many accepting of chaplain support who were atheist or agnostic, or believed in God but did not consider themselves religious. And no these were not millennials, these were your typical elderly hospice patient. You will almost always have some folks who decline chaplain support, and not always for bad or wrong reasons. Honestly, some patients have had better support from their parish or church than I could offer them. Others may feel overwhelmed at the time and just don’t need another person in their home or room. If you find you’re having trouble getting your foot in someone’s door though, here are some strategies to help you get in. Educate your IDT on how to approach chaplain support. This by far has been the biggest hurdle some chaplains have – getting past their own team. Admission nurses may offer chaplain support as an “a la carte” service, as in “ok you have your nurse and your aide, would you like a chaplain with that?” One poster on the discussion board I mentioned above wrote “For many the question [do you want a chaplain] sounds like, ‘do you want to meet with a political scientist?’ Why would I want that?” Instead encourage your nurses and admission staff to say that the chaplain would be in touch with them. They can still refuse, but will help improve initial contacts. Consider making a flyer or brochure that talks about your spiritual support services and providing that with their admission packet. When your team gets the importance of chaplaincy, they will be your biggest advocate and you’ll get fewer declines. Give time. I find that for my home patients the first few days of hospice are very stressful. By the time I’m making my first call to set up a visit they’ve often already had the DME company in to deliver equipment, nurses, aides, and maybe even the oxygen company and the pharmacy. This is of course added to all the stress having a family member dying. I’ve found that calling and seeing if there are any immediate needs and then offering to visit in a few days or even the following week to be very helpful and appreciated by many families. Tag along. Some folks will refuse a chaplain but may lean on other clinical staff for spiritual support. Others may never return calls to arrange for visits at home. Personally I am very, very reluctant to just drop in unannounced on patients living at home (a great way to get yourself shot) but I find that tagging along with the nurse or social worker is a great way to get in the door and introduce myself when other attempts have failed. This can also work in facilities like hospitals. Start socially. Sometimes I start my first visit very socially and find ways to make my interview more of a conversation than a clinical assessment. Take stock of the room and what is there and use those for jumping off points. Are they a sports fan? What books or music do they have? Ask them about the photos in the room and get the stories behind them. Those discussions lead to life review which can lead to more spiritual insights. Be flexible: Some may want support, but not a lot of it. I’ve found that if someone (most often a home patient) declines visits but is accepting of phone calls, or be open to visits but only on their schedule. I have one home patient whom I call monthly. Our conversations last about 30 seconds but she told her nurse how much she appreciated me thinking about her and checking in. Keep trying: Don’t be a nuisance, but don’t quit at the first sign of resistance either. Even if someone declines, the occasional call or pop-in visit will help to make yourself more familiar, show you care, and allow for opportunities for further support should the need arise. Watch counter-transferrence: If you’re getting a lot of declines, you might need to look at yourself. Are you self-sabotaging some visits before they even start? 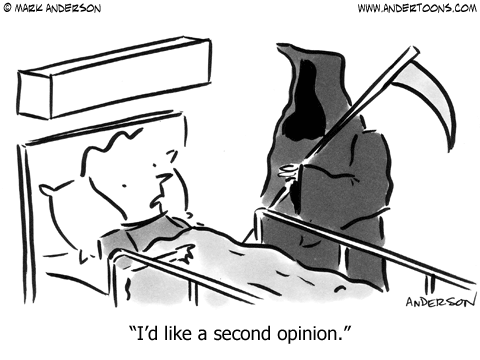 Are you avoiding a particular patient for some unspoken reason? This is where communication and discussion with the spiritual care team or another chaplain group (like your CPSP cohort) is invaluable. They will help you see where you are getting in your own way. Don’t fight it: Finally, accept that not everyone is going to want a chaplain. Don’t consider that a failure. In some cases, folks need someone to say no to and you can be that person. Allowing someone who has had most of their control taken away from them by doctors and other medical staff to say “no” to you can be the most spiritually empowering thing you can do for someone. Hey! I love this and it is super true. I definitely like number one educating your teams seems to be what I have noticed is missing from care teams. The lack of knowledge for what services are actually offered from your spiritual care team is a setback for chaplains, care teams, and patients. The ideas presented here encourage me to think a little more ‘outside the box’ of Chaplaincy and caring for patients. Thanks for posting! Love your last point that they might just need to have someone they can say no to, so this in itself must be a good service we provide in giving them back some control. I will look at refusals in a different light from now on.